This page discusses unlawful termination settlements and verdicts in Rhode Island. It is very uncommon for great claims to go to trial, for the reason that they generally settle out of court. The majority of these court cases contain mixed verdicts, meaning that they involved one, or perhaps a number of claims of wrongful firing as a consequence of sexual orientation, gender expression or gender identity discrimination, race, color, national origin, religion discrimination, constructive discharge, whistleblower, breach of employment contract, workplace retaliation, pregnancy, firing in violation of public policy, age discrimination or gender discrimination. The data which follows shows a snapshot of the various kinds of claims filed in conjunction with their respective numbers in RI in 2017. 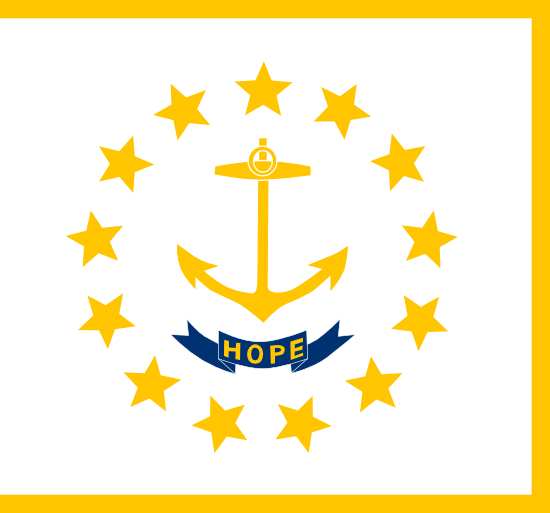 Rhode Island is the smallest state in the US in terms of size, and the 44th in terms of population. As such, wrongful termination and discrimination lawsuits in RI are relatively rare. The statistical data above illustrates this as well. Lori Franchina was a firefighter working at the Providence Fire Department. She was lesbian. She initially sued the city on 2 counts of discrimination under Title VII of the Civil Rights Act. She alleged that her colleagues discriminated against her both because she was a woman firefighter, and because she was lesbian. She filed complaints while working at the fire department, but was retaliated against for doing so. The abuse got so bad that was diagnosed with post-traumatic stress disorder as a permanent disability, meaning she could no longer work as a rescue lieutenant. Jennifer McQuaide v Chariho Furniture Inc.
Jennifer McQuaide worked as a sales manager and interior consultant for the furniture store. A co-owner of the company, Edward P. Smith, subjected her to sexual harassment and thus created a hostile work environment. She complained to management, but nothing was done to stop Smith from continuing with the harassment. She was ultimately fired for rejecting his actions and advances. As you look through our list of unlawful termination settlements from Rhode Island, remember the larger amounts are because of punitive compensation. Punitive damages are handed out to dissuade companies from taking part in the same sort of wrongful conduct. Punitive damages are quite infrequent. The majority of court cases will settle for approximately forty thousand to a few hundred thousand dollars. Our selection of unlawful firing settlements and verdicts in RI was created for informational purposes. Despite the fact that you feel similarity to any of these lawsuits, remember that every situation is different. It’s easy to understand that you would like to find out the amount of money you are likely to get for your wrongful discharge claim. In the event that you reach settlement, the amount you are given is typically dependant on the following: reason of termination, mental anguish, benefits lost, job search costs, lost earnings and medical expenses. Punitive damages may also be awarded in rare situations, if the company acted egregiously. As you can observe from the example cases above, presenting a median settlement for wrongful dismissal claims in RI is going to be very difficult since every case is unique. The average wrongful termination settlement in Rhode Island is between $6,000 and $100,000. Legal professionals are usually beneficial when it comes to working out a higher settlement. The typical courtroom awards are generally higher, approximately $110,000 to $350,000. This is one of the reasons employers like to reach settlement outside of court. Numerous years of litigation, bearing the legal costs and maybe losing the lawsuit in the end might end up being expensive. If you think you had been terminated for some kind of illegal reason, here are tips on what you should do. To begin with, you’ll want to contact a wrongful termination attorney in Rhode Island to see if you have got a claim worth pursuing. Do not put it off, as there can be deadlines for submitting wrongful termination claims in Rhode Island. Second, you are going to most likely need to submit a timely claim with the Rhode Island Commission for Human Rights. Here are several guidelines on filing a wrongful discharge lawsuit.